Tesla watchers have always known a day would come when the upstart EV maker would have to prove it could master the mundane. That day has arrived. There are reports of cars being delivered with technical glitches. Tesla is a truly audacious enterprise. The company is attempting to simultaneously scale in solar and storage, semis and sedans. But as of late, Tesla’s lofty aspirations have been threatened by down-to-earth realities: executive turnover and the difficulties of producing a flawless vehicle for the masses. Last week, Bloomberg’s veteran Tesla-watcher Dana Hull published a survey of recent departures among senior management. In February, sales chief Jon McNeill left Tesla to become Lyft’s COO. Chief accounting officer Eric Branderiz recently left the company for personal reasons. And Susan Repo, Tesla’s corporate treasurer and vice president of finance, left to become CFO of another company. Hull noted that this exodus comes in the wake of other notable departures over the past year, including former CFO Jason Wheeler; Chris Lattner, who was hired from Apple to lead Tesla’s Autopilot engineering team and left within six months; and Diarmuid O’Connell, vice president of business development. “Our future success depends upon our ability to attract and retain executive officers and other key technology, sales, marketing, engineering, manufacturing and support personnel,” Tesla said in February regulatory filing quoted by Hull. Worse than turnover issues at the top of Tesla’s org chart is that in struggling through what Elon Musk referred to as “production hell” for the Model 3 sedan, electric vehicles have been delivered to customers with an assorted range of technical glitches and other quality concerns. 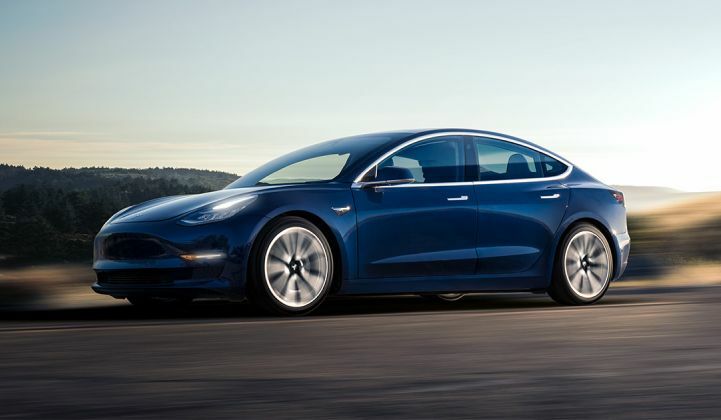 “Some of the Model 3s delivered over the car's first six months or more have the worst build quality of any electric car offered by a serious maker,” Green Car Reports editor John Voelcker wrote in a review of the 310-mile-range Model 3. Voelcker cited some of the problems documented with early-delivery Model 3 sedans: touchscreens suffering from "phantom touch" that turn various functions on and off at random; unexplained battery capacity loss in parked cars; squeaks, groans and rattles; and inconsistent panel fit and alignment. Voelcker blamed the quality problems on a rushed rollout, with Model 3s delivered six to 12 months earlier than is typical under the standard new-vehicle development process. CNBC reported last week, citing current and former Tesla employees, that flawed parts are delaying production of the Model 3. A current Tesla engineer told CNBC’s Lora Kolodny that 40 percent of the parts made or received at Tesla’s Fremont, California factory require rework. An unnamed current Tesla employee said the high defect rate is making it hard to hit production targets. Tesla pushed back on the story. Regarding the reworked parts, the company said, "Remanufacturing is not unique to Tesla; it is something that other manufacturers do too.” The company also told Kolodny that every vehicle delivered to customers undergoes a quality-control check involving more than 500 inspections and tests. Dana Hull reported last week that Tesla temporarily suspended production of the Model 3 for five days in late February to improve automation, address bottlenecks, and make other improvements that will enable the company to ramp up production. Under its revised targets, Tesla wants to produce 2,500 Model 3s per week by the end of March and 5,000 weekly by the end of June. To be fair, not all of the Tesla headlines in recent weeks have been negative. The company’s massive battery installation in South Australia, the 100-megawatt/129-megawatt-hour Hornsdale Power Reserve, was completed ahead of schedule last year, and is, by all accounts, exceeding expectations. But Musk is learning that manufacturing vehicles for the masses is a sleep-disrupting challenge. During a Q&A session last week at the South by Southwest festival, Musk said artificial intelligence and production delays of the Model 3 are the two things that keep him up at night. Meanwhile, Model 3 concerns have brought Tesla’s stock down. Goldman analyst David Tamberrino predicts the company’s shares will drop more than 30 percent over the next six months due to weak Model 3 deliveries. Tesla has proven it’s possible to stoke frenzied consumer demand for electric cars. And Tesla’s success in fomenting that demand is at least partly responsible for the more aggressive EV targets starting to emerge from major global automakers. And that gets to the crux of the matter. Tesla watchers have always known a day would come when the upstart automaker would have to prove it could master the mundane and match the global automakers’ ability to make millions of affordable, high-quality cars year after year. That day has arrived.